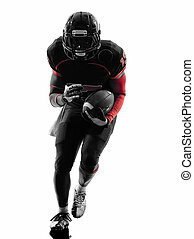 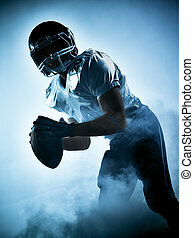 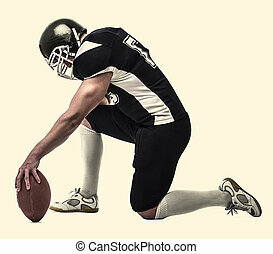 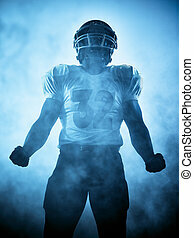 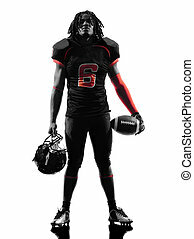 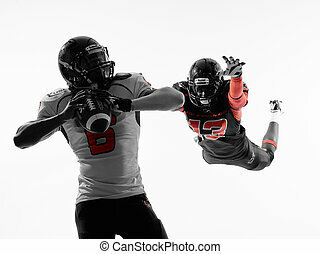 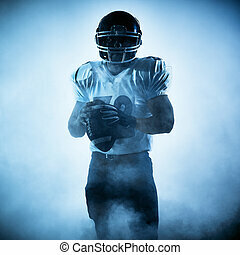 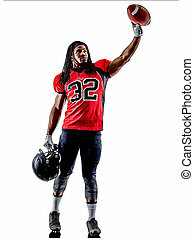 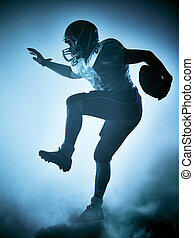 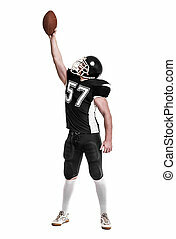 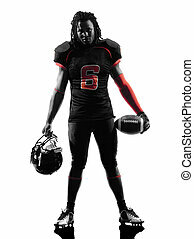 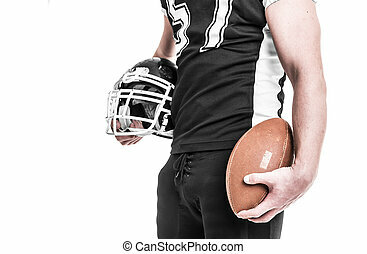 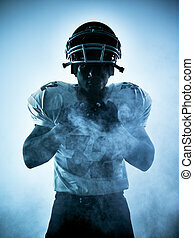 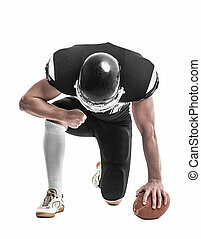 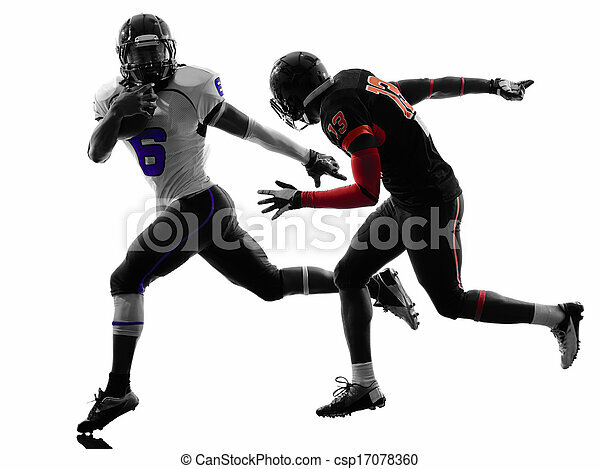 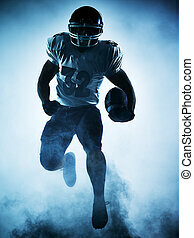 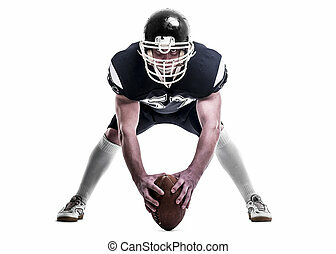 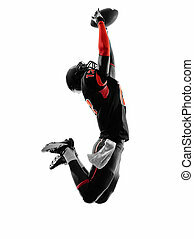 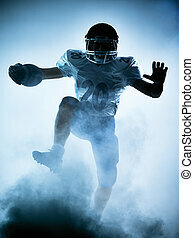 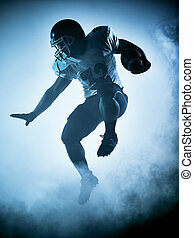 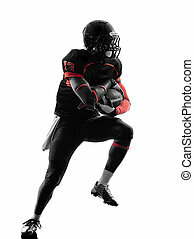 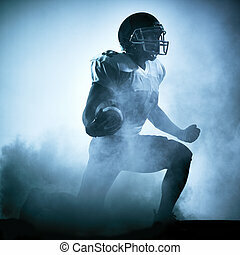 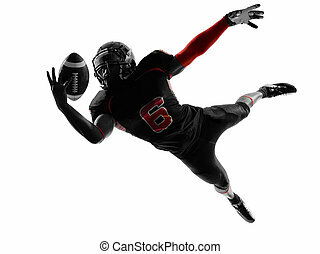 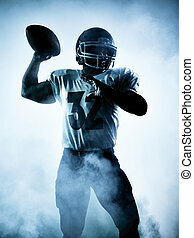 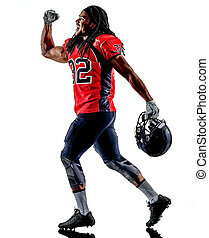 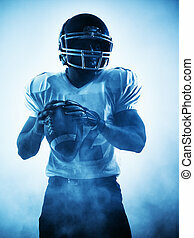 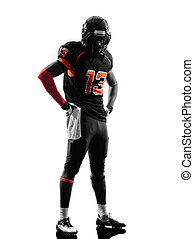 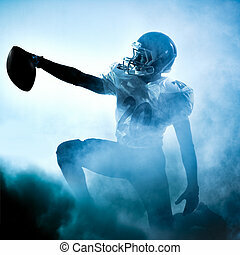 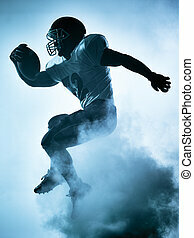 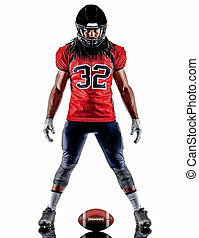 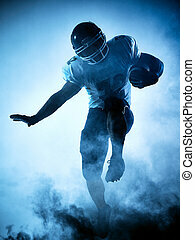 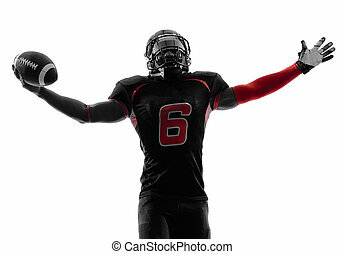 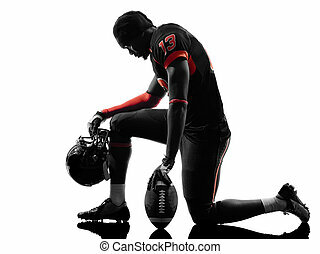 American football player silhouette. 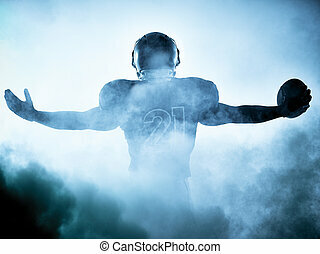 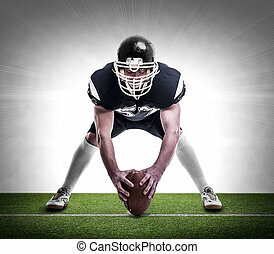 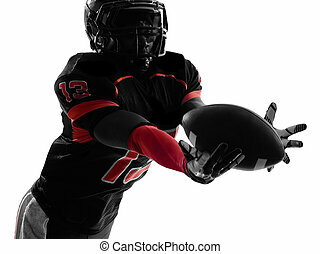 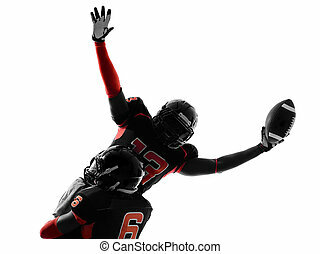 One american football player in silhouette shadow on white background. 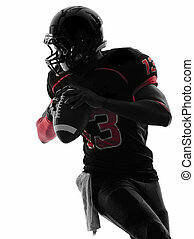 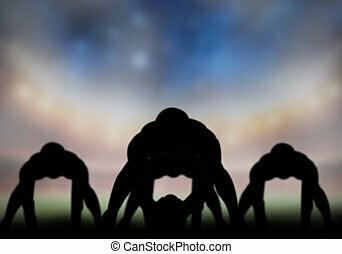 American football player silhouette playing in the field. 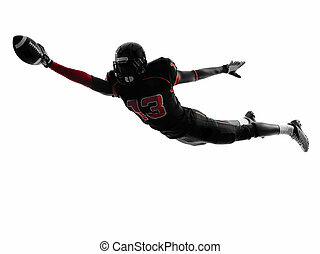 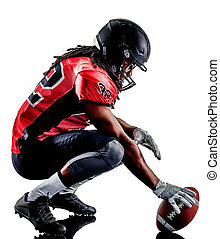 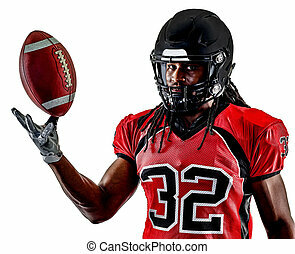 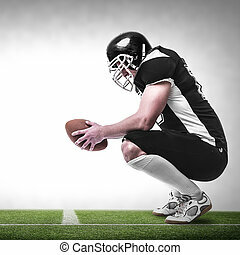 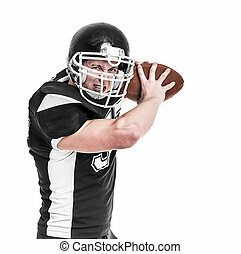 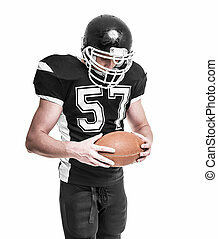 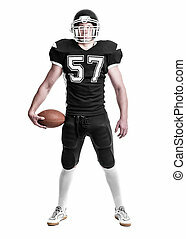 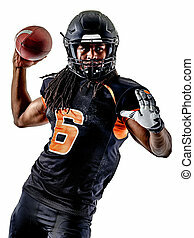 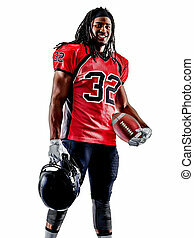 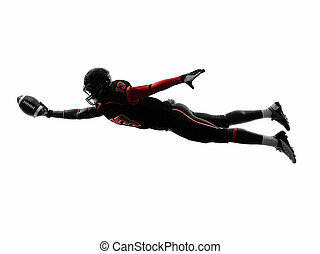 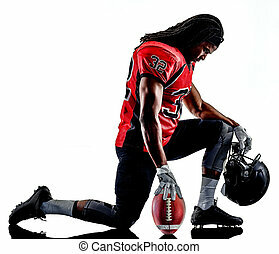 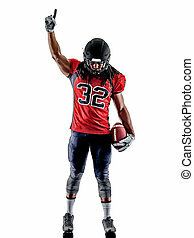 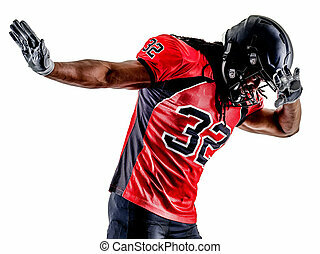 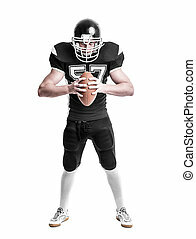 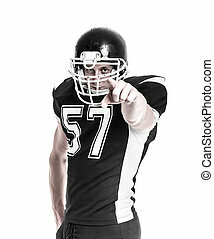 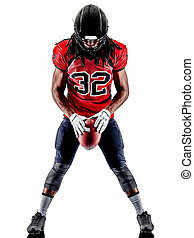 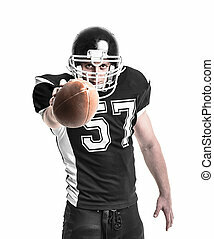 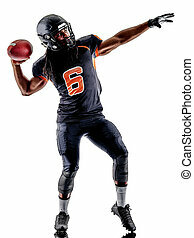 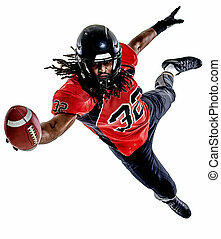 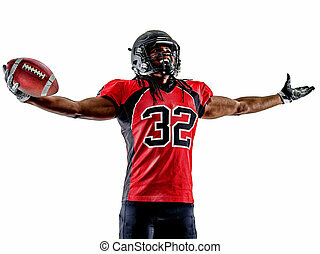 American football player on the football pitch.